Brisk Silver Racing Spark Plugs are the best solution for high performance and racing engines. Silver Spark Plugs provide many unique and beneficial characteristics, Silver is taking sparkplug technology to a whole new level, here are many reasons why our Brisk Silver Racing SparkPlugs are beneficial for your engines performance. P/N 254771. Manufacturer Part Number 254771. Ferrari F12 Berlinetta. Ferrari 458 Italia. Desafío Ferrari 458. Ferrari 458 Spider. Ferrari 458 Speciale Aperta. Ferrari FF. 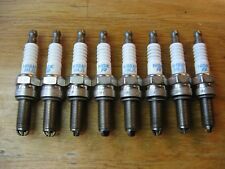 A set of 8 genuine Ferrari 458 spark plugs - only done 2K miles. P/N 231359. FERRARI F430 Scuderia,Scuderia 16M. Fits: Ferrari 430 Scuderia, 430 Scuderia Spider 16M. IGNITION COIL. before you take it and before you sign for it. Once we receive the item in our office we will. 24-8814,N7GY,RN7GY. 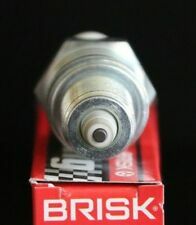 Brisk RACING Motorcycle Spark Plugs are unique spark plugs that are designed to. Brisk was founded in 1935 and collaborates with. BRISK Power Chart about 4-5 HP. The Premium LGS range spark plugs require powerful ignition systems, perfect blending of mixture and utilisation of the engines in the high-rpm zone. Engine Size; 2927cc. These are High Quality Spark Plugs from Bosch. Years covered;1977 to 1980. NGK Spark Plugs. NGK Glow Plugs. NTK NGK Oxygen Sensors. Spark Plugs. 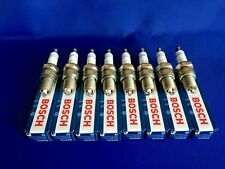 Bosch Spark Plugs. Champion Spark Plugs. 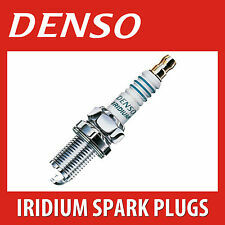 Denso Spark Plugs. Spark Plug Tools. FERRARI MONDIAL 3.0 Spark Plugs Set 4x 80 to 82 F106B. FERRARI MONDIAL 8 Coupe Petrol 07/1980 09/1983 RWD 16 214 158. Thread Pitch 1.25 mm. Spark Position 3 mm. Function Spark Plug. Thread Length 19 mm. Manufacturer Part Number 192637. FERRARI F430. Ferrari Enzo. FERRARI 599. FERRARI 360. Part Manufacturer Ferrari (Genuine OE). Una vez que recibamos el artículo en nuestra oficina lo haremos. antes de tomarlo y antes de firmar para ella. Champion Spark Plug RA59PP. Lambda sensors. Vehicle compatibility data, where provided, shows suitable parts for a specific vehicle butdoes not confirm the quantity required. Spark plugs. Every possible care is taken to ensure that goods are in perfect condition when despatched. FERRARI F430. FERRARI ENZO. FERRARI 599. FERRARI 360. IGNITION SPARK PLUG. Once we receive the item in our office we will. before you take it and before you sign for it. 458 ITALIA SPIDER/reto/Versione Speciale de bujía original Ferrari / Ferrari la / FF / F12 Berlinetta. 458 ITALIA SPIDER / reto / Versione Speciale. Bujía original de Ferrari. La Ferrari. Así, se obtiene calidad superior y seguridad óptima. Manufacturer Part Number: PMR8A. NGK SPARK PLUGS FOR CARS > NGK LASER PLATINUM SPARK PLUGS. Make: FERRARI. Product Type: SPARK PLUG. Product Version: LASER PLATINUM. Model: 360. Ground Electrode Material: PLATINUM. P / n 231359. Manufacturer Part Number 231359. Ferrari F430 Scuderia, Scuderia 16M. Ajustes: Ferrari 430 Scuderia, 430 Scuderia Spider 16M. Para América del Sur, América del Norte, África, Asia, Australia y Nueva Zelanda, el tiempo de envío es de 22 a 40 días hábiles. (Bujía original de Ferrari para F355 spider. Enchufe de chispa F355 spider de Ferrari. Ferrari F355 B/GTS / araña Motronic 2.7 / CD Giugno 2000). FERRARI F355 B/GTS / araña Motronic 5.2 / (CD Giugno 2000). FERRARI 512 5.0 Spark Plugs Set 4x 92 to 94 F113D00/40 NGK. FERRARI 512 TR 5.0 Coupe Petrol 01/1992 10/1994 RWD 48 428 315. FERRARI 348 tb/GTB 3.4 Coupe Petrol 10/1993 04/1994 RWD 32 320 235. FERRARI 348 tb/GTB 3.4 Coupe Petrol 02/1990 04/1994 RWD 32 300 221. Ferrari 550 maranello (CD Giugno 2000/2001). FERRARI 575 M Maranello / (CD luglio 2005). FERRARI 550 barchetta. FERRARI 612 SCAGLIETTI. FERRARI 412 4.9 Spark Plugs Set 4x 85 to 88 F101E. Bosch 99917019090. PORSCHE 99917019090. Thread Pitch 1.25 mm. Spark Position 3 mm. Function Spark Plug. Outer thread 14 mm. Thread Length 19 mm. 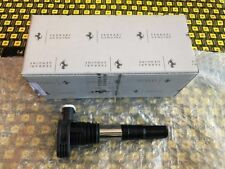 Ferrari F355 3.5 07/95 - NGK Platinum Bujías X 8 PMR7A  Nuevo en Caja! Manufacturer Part Number: PMR7A. Short Code: 4259. Model: F355. NGK SPARK PLUGS FOR CARS > NGK LASER PLATINUM SPARK PLUGS. Make: FERRARI. Product Type: SPARK PLUG. Product Version: LASER PLATINUM. Ground Electrode Material: PLATINUM. Enchufe de chispa original Ferrari CALIFORNIA. Ferrari California. Bujía original de Ferrari. FERRARI F355 GTS 3.5 Spider Convertible Petrol 07/1994 12/2000 RWD 40 380 280. FERRARI 16 83 25 168325. FERRARI 360 (F131) 3.6 Modena Coupe Petrol 03/1999 03/2005 RWD 40 400 294. 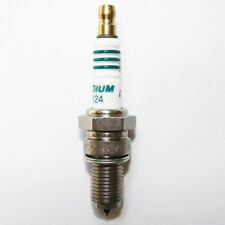 Spark Plug Fixed SAE connector, Platinum Middle Electrode, 1 - Earthed Electrode, interference Suppression 5 kOhm, with gasket seat. FERRARI 360 3.6 Spark Plugs Set 4x 99 to 05 F131 NGK 168325. FERRARI 360 (F131) 3.6 Modena Coupe Petrol 03/1999 03/2005 RWD 40 400 294. Construction year from: 05/1999, Engine Code: F131, Electrode Gap [mm]: 0,7. Manufacturer Part Number: BP7ES. Model: 400i. NGK SPARK PLUGS FOR CARS > NGK STANDARD SPARK PLUGS. Engine Type: V12 DOHC. Make: FERRARI. Product Type: SPARK PLUG. Year: 01/77-04/85. 100% SECURE. Bujía original de Ferrari F430 Coupé/araña/reto/Scuderia / 360challenge / Enzo Ferrari, FXX/FXE / F 599. FERRARI 360challenge 2004. FERRARI F430 Scuderia / Scuderia spider. Ferrari F430 Spider/Coupé. FERRARI Enzo Ferrari / (CD diciembre 2005). Nuevas piezas originales para Ferrari 458, FF, F12 y LaFerrari. Nueva original bujías para Ferrari 458, FF, F12 y LaFerrari. ¿Puede la parte deseada o el trabajo deseado, para su Maserati, Ferrari, Lamborghini o Porsche no?. P/N 254771. Ferrari F12 Berlinetta. Ferrari 458 Italia. Ferrari 458 Challeng. Ferrari 458 Spider. Ferrari 458 Speciale Aperta. Ferrari FF. Ferrari La Ferrari. Brisk RACING Motorcycle Spark Plugs are unique spark plugs that are designed to. Brisk was founded in 1935 and collaborates with. BRISK Power Chart about 4-5 HP. The Premium LGS range spark plugs require powerful ignition systems, perfect blending of mixture and utilisation of the engines in the high-rpm zone. Specifico per: FERRARI F355 3.5 280 kW MOTORE F129C 05/94-01/96. Le candele d’accensione a marchio NGK sono sinonimo di qualità, affidabilità e durata nel tempo. L'INSERZIONE SI RIFERISCE ALL'ACQUISTIO DI UNA (1) CANDELA. MPN DCPR9EIX. 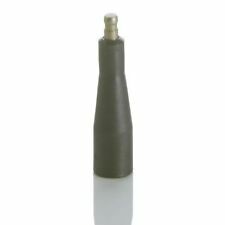 Manufacturer Part Number DCPR9EIX. Part_Number DCPR9EIX. NGK SPARK PLUGS. BUJÍAS NGK. NGK tapas de las bujías. Sensores de oxígeno NTK NGK. Sub Type Iridium IX. Specifico per: FERRARI F355 F1 berlinetta; GTS; Spider 3.5 280 kW MOTORE F129C 11/97-. Le candele d’accensione a marchio NGK sono sinonimo di qualità, affidabilità e durata nel tempo. L'INSERZIONE SI RIFERISCE ALL'ACQUISTIO DI OTTO (8) CANDELE. Set of 4x NGK Spark Plugs - PMR8B 6378. Part Number PMR8B. NGK also manufacture quality Glow Plugs, Lambda Sensors, and Ignition Coils. General Traffic. Cancelling an Order. Outside Mainland GB. Mainland GB. Nuevo Ferrari o Maserati piezas originales para el Ferrari 599 GTB/GTO y Enzo Ferrari. ¿Puede la parte deseada o el trabajo deseado, para su Maserati, Ferrari, Lamborghini o Porsche no?. ¡No hay problema!